The role of the Guidance Committee is to advise the Master of Interior Architecture Program on the latest trends in the architecture and design professions as well as on strategies for promoting the program to national and international audiences. Members are distinguished practitioners from the architecture and design fields who share a strong commitment to furthering the standards of design education. The Guidance Committee is not a fundraising entity and members are not solicited for any financial contribution. The committee meets yearly for thorough brainstorming session normally held in Los Angeles. 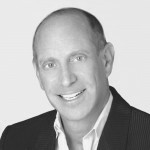 As Chairman and CEO of Hirsch Bedner Associates, Michael Bedner leads the largest hospitality design firm in the world. In 1964, Mr. Bedner and his partner, Howard Hirsch, revolutionized hospitality design by creating an entirely new professional discipline. Throughout his career, Mr. Bedner has expanded the discipline into a functional art form that continues to evolve. His vision and creative energy provides inspiration to the entire industry and his design influence can be seen in hundreds of the finest hotels throughout the world. Mr. Bedner’s combination of traditional training and over 40 years of international hands-on experience have provided him with a singular understanding of the cultural, programmatic, and financial aspects of a variety of projects. This understanding makes him uniquely qualified as a consultant for virtually every aspect of the hospitality business, from conceptual planning to budgeting and installation. Gaining his own formal education at the University of Michigan, UCLA and Stanford University, Michael Bedner has been active in supporting a number of high profile educational programs in the design field. He has lectured extensively at institutions in Asia and North America, provided space and staffing for hospitality design classes conducted through UCLA Extension, and set up a Design Competition and Awards Program at UCLA Extension to honor his partner and HBA’s co-founder, Howard Hirsch. Frank has spent his professional lifetime exploring the ways various design disciplines inform one another. While living in Milan from 1984-86, he joined Memphis Group founder Ettore Sottsass and Matteo Thun in conducting aesthetic experiments with ceramics, graphics, packaging, and architecture. The results of those investigations were the basis for a traveling exhibition about hypothetical skyscrapers, originating at Vienna’s Academy of Applied Arts. Since he joined Rios Associates in 1990, Frank’s contributions have been just as prolific and diverse. His proficiency as an architect has been responsible for some of the firm’s most creative designs for theaters, parks, offices, child care centers, and residences. Meanwhile, notNeutral, the studio’s arm for designing, manufacturing, and selling retail products, would not have been possible without his talent for creating products that inspire their users. Currently a board member and adjunct professor at Woodbury School of Architecture, Frank has taught for more than 20 years at institutions like USC, Art Center College of Design, and UNLV. He is also a member of the City of Los Angeles Mayor’s Design Advisory Committee. Frank received his Bachelor in Architecture from California State Polytechnic University, Pomona. Projects like Austin City Limits, Chess Park, Warner Bros. Day Care Center, and S4P Sunset Triangle Plaza evidence his deft touch at bridging traditional distinctions among architecture, interior design, landscape architecture, and product design. Mr. Daniels is principal of Jeffrey Daniels Architects in Los Angeles and Director of the Architecture and Interior Design Program at UCLA Extension. He earned a bachelor’s degree from Princeton University and an M.Arch from the Massachusetts Institute of Technology. From 1975 to 1977 he worked for the Taller de Arquitectura of Ricardo Bofill in Barcelona Spain and from 1978 to 1980 he worked in the office of Frank O. Gehry & Associates in Santa Monica, California. In 1980, he left to form his own firm, Grinstein/Daniels, as principal in charge of design. In 1993, he formed Jeffrey Daniels Architects. In that same year he also came to UCLA Extension to head the Arc&ID Program. The architectural works designed by Jeffrey Daniels include the David Hockney Residence, the offices for Virgin Records, New York, the Edythe & Eli Broad Painting Studios for the California Institute of the Arts, restaurant interiors for Chaya Brasserie, Chaya Venice, Typhoon and Opus as well as the award winning Kentucky Fried Chicken on Western Avenue. Mr. Daniels’ work has been featured in numerous publications and books and during 1997 formed part of an exhibition on Los Angeles architecture at the Gammel Dok Architecture Center in Copenhagen. 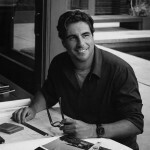 In 1998 his recent residential work was included in the Architecture 101/New Blood Exhibit at the Pacific Design Center. He received a 1998 AIA Los Angeles Chapter Honorable Mention Award for his Project New Hope Apartments, a special housing project for individuals living with HIV/AIDS. His work was also shown as part of the Millenium Models Exhibition (April – June 2000) at the Pacific Design Center. He was one of 34 Los Angeles architects selected as part of the 34 Los Angeles Architects Exhibit (November 2004 – February 2005) at the Architecture + Design Museum. In April 2013, Mr. Daniels’ work will be featured in “Overdrive: LA Constructs the Future,” an architecture exhibit at the Getty Museum. Fernando deMoraes is Co-Founder & Principal at Creative Resource Associates (CRA), a Global Interior Design firm founded in 1994 specializing in high-end hospitality and residential assignments, with satellite offices in Dubai and Brazil. Today, deMoraes is responsible for the design and management of several flagship properties for the Marriott, Hyatt, Westin and Ritz Carlton hotel chains. His work has taken him all over the world, including building projects in the Middle East, Asia, and South America. Besides designing luxury hotels, deMoraes has created lavish homes for celebrities in his native Brazil and designed projects for several members of the royal family in the Middle East. In addition to his teaching position in the Masters of Interior Architecture program at UCLA Extension, deMoraes is an active member of the UCLA Architectural and Interior Design Guidance Committee and responsible for the culminating thesis class in the combined Masters degree program offered jointly by UCLA Extension and Cal Poly Pomona. Twice deMoraes has been awarded Extension’s “Outstanding Instructor” designation. He is a Certificate holder from the UCLA Extension Architecture and Interior Design program and a graduate of the Southern California Institute of Architecture (SCI-Arc) with a Bachelor’s degree in Architecture. Steven Drucker received his MArch from the Graduate School of Design at Harvard University and is currently a practicing architect and designer whose work encompasses architectural, interior, graphic, and furniture design. 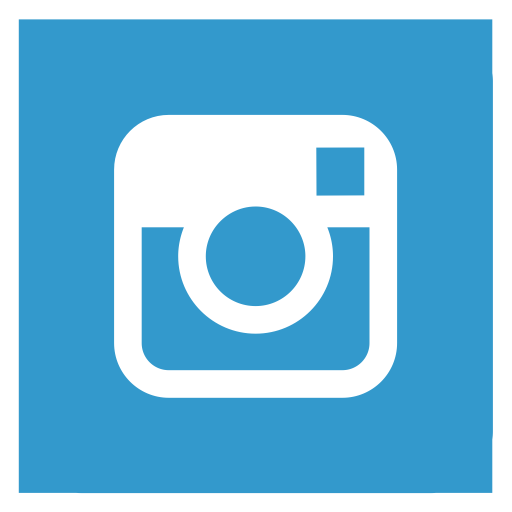 Mr. Drucker has been involved in retail, institutional, and commercial projects with particular emphasis on corporate and office design and space planning. Additionally, he regularly serves as an instructor in the UCLA Extension Master of Interior Architecture program. The work of David Hertz Architects Inc, Studio of Environmental Architecture focuses on the design and construction of environmentally responsible residential and commercial buildings, and engages in multiple facets of design, including product design, furniture design, public sculpture, environmental consulting, as well as the research and development of resource efficient ecologic building products. In 1983, Hertz founded Syndesis Inc, and invented the material manufacturing process of Syndecrete®, the innovative pre-cast lightweight concrete surfacing material. David received his BArch in 1983 from the Southern California Institute of Architecture and in 2004, he became a LEED Accredited Professional. After selling the Syndecrete® technology in 2006, Syndesis Inc. evolved into the Studio of Environmental Architecture, a Santa Monica based practice devoted to green building. David has served on the faculty of the SCI-Arc Professional Development Program and is currently an instructor for the UCLA Extension Architecture and Interior Design program where he teaches sustainable design courses. He also teaches a studio focused on prefabrication at the Art Center College of Design in Pasadena. Since 1980 Michael Hricak has lead a practice distinguished by the diversity and quality of its work. Through the course of each project, he coordinates the efforts of the project team providing design direction, analysis, project strategy, and technical expertise. He has considerable experience working with authorities having jurisdiction over projects on a wide variety of building types. 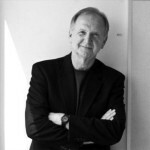 Michael received his Bachelor of Science in Architecture, from the University of Southern California’s School of Architecture & Fine Arts, and, after two years at Welton Becket Associates, he attended Harvard University’s Graduate School of Design, earning a Master in Architecture degree in 1978. Since 2007 he has served on the Harvard GSD Alumni Council. 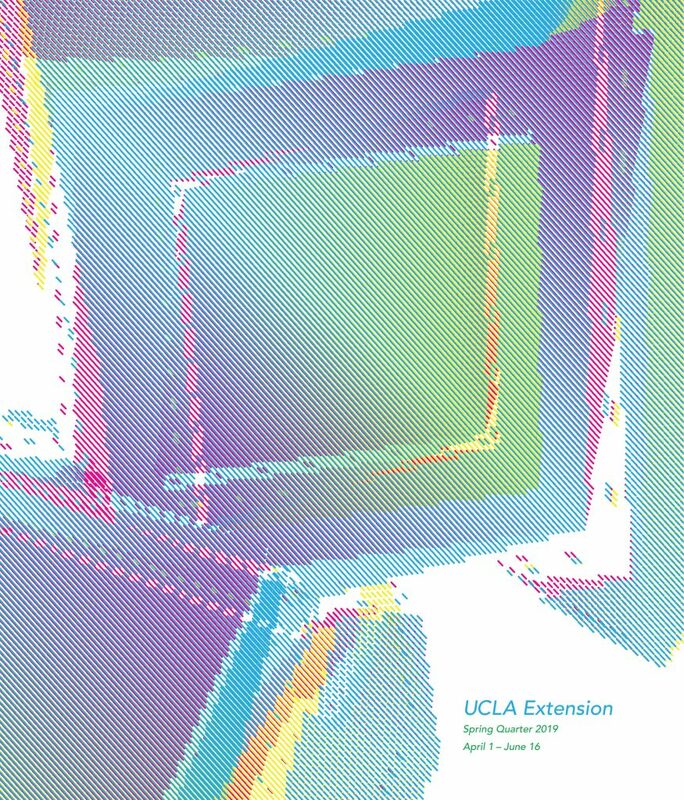 Michael is a Dean’s Distinguished Instructor in Design at UCLA Extension’s Architecture & Interior Design Program where he has taught since 1982, being named Outstanding Instructor on four occasions. In addition, since 1998 he has lectured on Professional Practice at USC. Known as one of the most highly regarded architects in California, Scott Johnson is a prolific designer of residential, commercial, and institutional building projects, many of which have been widely published and have become local landmarks. Educated at Stanford University, the University of California at Berkeley, and the Harvard Graduate School of Design, Johnson has worked in a number of seminal firms. He is the co-founder and Design Partner of Johnson Fain, an international architecture, planning and interior design firm located in Los Angeles. 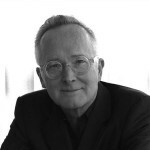 Johnson is the author of several books, the most recent including The Big Idea: Criticality & Practice in Contemporary Architecture and Tall Building: Imagining the Skyscraper. He has lectured widely on architectural topics and has taught at SCI-Arc, UCLA, and USC where he was, from 2003 to 2006, the Director of the Master of Architecture Programs. 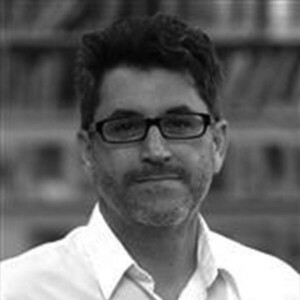 Scott Johnson has worked variously at The Architects’ Collaborative, the firm founded by Walter Gropius, Skidmore, Owings and Merrill in the Los Angeles and San Francisco offices and at Philip Johnson & John Burgee in New York City. 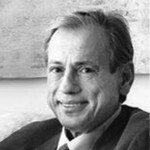 In 1983, he relocated to Los Angeles where he accepted the role of Design Director and Principal at Pereira Associates, formerly William L. Pereira Associates. In 1989, Johnson assumed control of the office with his former Harvard classmate, William H. Fain, Jr., and renamed and rebuilt the firm as Johnson Fain. A graduate of Johns Hopkins University and Columbia Business School with a BA in Behavioral Sciences and an MBA in Management and Marketing, Charrisse was a Wall Street strategic planning executive before shifting to interior design. Charrisse spent 9 years at Gensler, which she joined after graduating from UCLA Extension’s Arc+ID Program as Class Valedictorian. As a Senior Associate, Studio Operations Leader and Project Manager at Gensler, Charrisse managed and designed educational and corporate projects. Her clients included USC, Loyola Marymount University, Santa Monica College, CBRE, Hyundai Capital, Herbalife and Los Angeles County Museum of Art. Additionally, Charrisse oversaw the office’s pro-bono and community service initiatives, leading service projects for the Los Angeles Youth Network, the Ecole Nationale Jacob Martin Henriquez in Haiti, the Inner City Law Center and the new LA County “Housing for Health” clinic and offices. Charrisse is currently the Principal and Interior Design Practice Leader at Steinberg Architects, where she is developing a firm-wide interiors practice for offices in Los Angeles, San Francisco, San Jose, New York and Shanghai. In 2004, Charrisse resuscitated UCLA Extension’s dormant ASID Student Chapter. By 2007, the chapter had become the largest in the West and was subsequently awarded Outstanding Student Chapter of the Year multiple times. Charrisse served as a director on ASID’s National Board from 2008-2010 and helped establish the national Emerging Professionals Council. She is a frequent presenter at NeoCon and was selected by the Design Futures Council as one of six Emerging Leaders, representing young design professionals at the annual Leadership Summit on Sustainable Design. Charrisse serves on the Dean’s Advisory Board for UCLA Extension and is a guest critic and lecturer at her alma mater as well as Woodbury, Cal State Long Beach and SCI-Arc. Sarah Lorenzen grew up in Mexico City and moved to the United States to attend Smith College. She continued her studies at the Atlanta College of Art where she received a Bachelor of Fine Arts in Drawing (BFA.) She has a Master of Architecture degree (M.Arch. I) from Georgia Institute of Technology and a second Master of Architecture degree in Metropolitan Research and Design (M.Arch. II) from the Southern California Institute of Architecture (Sci-Arc.) In 2011–12, she spent a sabbatical year at TU Delft researching how new mapping technologies are changing how we understand and intervene in the built environment. She has 8 years of teaching experience in first-year and upper division design studio, programming lectures, and multimedia seminar classes at Cal Poly Pomona. She also taught first year design for one year at Georgia Tech. 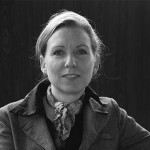 Ms. Lorenzen was elected Chair of the Department of Architecture in January 2013. Associate Professor Lorenzen is a registered architect in California. She co-founded a small multidisciplinary design practice in 2004, and has been resident director of the Neutra VDL Research House since 2007. Her practice emphasizes the use of creative communication devices: films, animations, and interactive apps to engage the public on issues related to the built environment. Prior to entering academia she worked as a project architect at MBT Architecture, and was a designer at Lord, Aeck and Sargent and Stanley, Beaman and Sears. Her professional experience with the design of large institutional and commercial projects as well as her experience in multimedia provides a background in architecture and urban design, architectural programming, representation and multimedia courses. James Mary O’Connor is principal-in-charge at Moore Ruble Yudell Architects and Planners and a 2007 recipient of the AIA Young Architects Award. At MRY, O’Connor provides design leadership for residential, academic, and mixed-use urban projects, including Kobe Nishiokamoto Housing in Japan, the Horace Mann Elementary School in San Jose, and 606 Broadway housing complex in Santa Monica. Born and raised in Dublin, Ireland, James Mary O’Connor came to Charles Moore’s Master Studios at UCLA in 1982 as a Fulbright Scholar. James received his Bachelor of Science in Architecture from Trinity College in Dublin, his Diploma in Architecture from the Dublin Institute of Technology, and his Master of Architecture from UCLA. Over the past 15 years, James has taught design studio, lectured, and has been invited as guest critic at UCLA, USC, SCI-Arc, University of Calgary, Alberta, University of Hawaii, Manoa, Tianjin University School of Architecture, China, and Tongji University School of Architecture, Shanghai, China. George Proctor’s professional experience spans from furniture and small buildings, to institutional buildings and urban design projects. He is a licensed architect in California and built his own house in 2004. Professor Proctor has professional degrees in Planning, Architecture, and the Master of Architecture in Urban Design from Harvard’s Graduate School of Design. Professor Proctor has overseen the Cal Poly Pomona Architecture Department’s digital curriculum since joining the faculty in 1993. He teaches design studio and upper division elective courses. Lauren Rottet is one of the most-celebrated interior architects today with an extraordinary record of awards, publications, lectures, juries and honors. 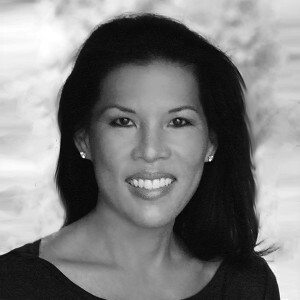 Her work encompasses major interior projects, strategic planning, and architectural renovations for a wide variety of clients. As a principal of DMJM Rottet, she has led the design of projects for clients like Ernst & Young, The Walt Disney Company, Hewlett-Packard, BMC Software, and the Capital Group Companies, Inc.
After graduating with high honors from the University of Texas, Ms. Rottet went on to work for such firms as Fisher Friedman & Associates and Skidmore, Owings & Merrill. Among her colleagues, Ms. Rottet is known as an innovator and teacher, devoting significant time to the education of her staff and to the advancement of the profession. Under her direction, the AIA Interiors Committee has not only become a major force in fundraising for the advancement or the profession, but has established a significant scholarship program for students in interior architecture. 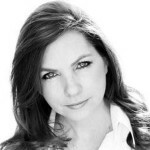 Ms. Rottet is an active member of IIDA and is a Board Member of the Contemporary Arts Museum, Houston. 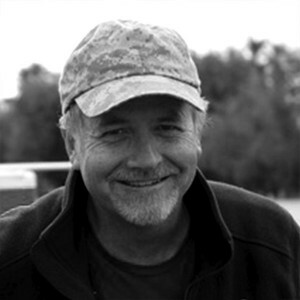 Darrell Schmitt began his career in New Orleans, launching Darrell Schmitt Design Associates, Inc. in 1974, two years after receiving his BFA in Interior Design from the Chicago Academy of Fine Arts. There, he built a successful residential design career, working on many prestigious projects throughout the city. Eventually, hoping to make real a long held desire to design hotels, Mr. Schmitt retired his business in 1987 and relocated to Los Angeles, where he joined James Northcutt Associates, celebrated boutique hotel designers. He was named Director of Design and then Design Principal for the firm. 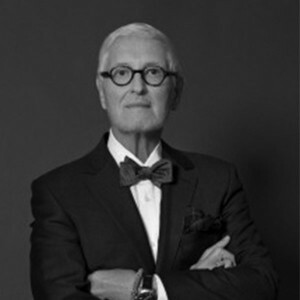 Notable projects for which Mr. Schmitt served as Senior Designer while at JNA include Four Seasons Hotels at three locations in Hawaii, The Peninsula Beverly Hills Hotel in Beverly Hills, California, Las Misones Country Club in Monterrey, Mexico, and a number of residential commissions from Indonesia to Saudi Arabia. In 1997, Mr. Schmitt re-formed Darrell Schmitt Design Associates, Inc. after the passing of James Northcutt. Linda Venis directs the largest continuing education arts program in the country. She is the head of the Writers’ Program at UCLA Extension, a program that offers over 425 courses annually in creative writing and screenwriting. 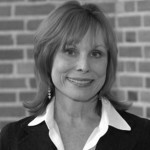 Dr. Venis received her PhD in English from UCLA, has taught literature and multidisciplinary arts courses at UCLA, USC, and Temple University, and is the recipient of numerous awards in the field of continuing education as well as the prestigious UCLA Distinguished Teaching Award. She is editor of CUT TO THE CHASE: Writing Feature Films with the Pros at UCLA Extension Writers’ Program and INSIDE THE ROOM: Writing TV with the Pros at UCLA Extension Writers’ Program (Gotham Penguin, 2013). 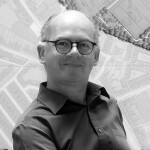 Clive Wilkinson is an architect, designer, writer and strategist with particular expertise in the application of urban design thinking to interior design, specifically in workplace and educational communities. He was born in South Africa and educated in the United Kingdom. 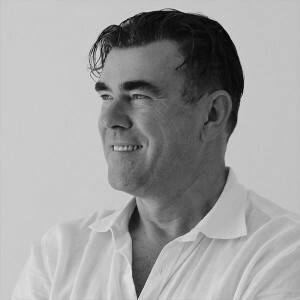 His practice, Clive Wilkinson Architects, was established in Los Angeles in 1991, and is an acknowledged global leader in workplace design. 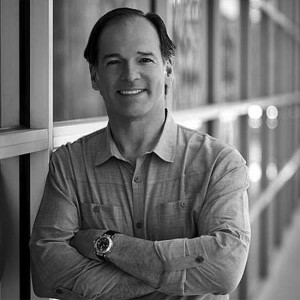 He’s created unique spaces for Google, Nokia, Macquarie Group, Disney & TBWA\Chiat\Day. In 2005, Clive was inducted into the Interior Design ‘Hall of Fame’. In 2006, he was named as a ‘Master of Design’ by Fast Company magazine and, in 2011, a ‘Pioneer of Design’ by IIDA. His firm’s portfolio of work has been selected as a Finalist for two years running in the Smithsonian Cooper-Hewitt Museum National Design Awards. In 2012, the firm was honored as the Winner for excellence in the category of Interior Design. 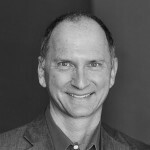 Clive is a former Board Director of AIA LA, a member of the GSA National Peer Registry and has served as a keynote speaker at global media and design conferences. His designs have received over 100 awards to date.